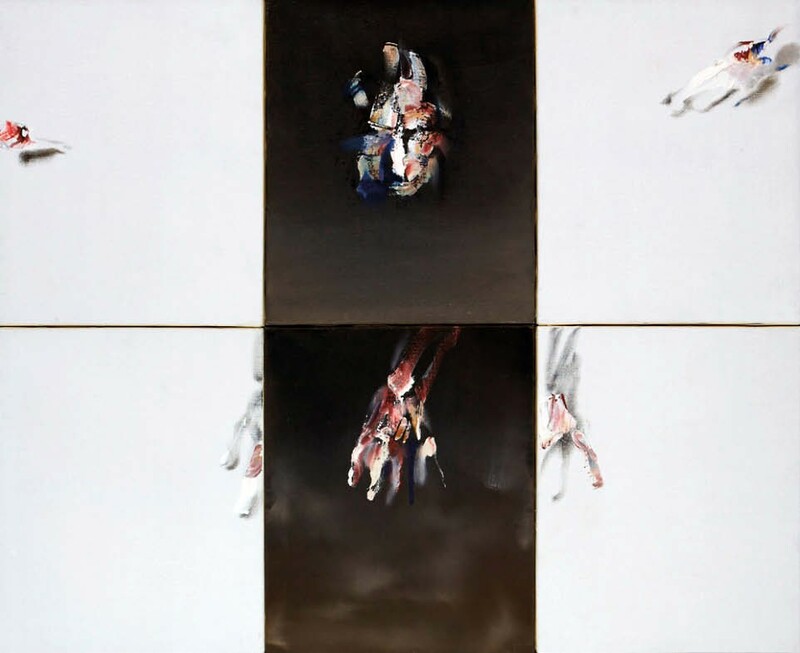 The work of Dublin painter Louis le Brocquy (1916-2012) is strengthening after the value of his work went spiralling downwards at the height of the Celtic Tiger crash nearly a decade ago. Homage to Montague by Louis le Brocquy – €80,000 (£71,430) at Whyte’s. At Dublin auction house Whyte’s (20% buyer’s premium), two works by the painter featured in a sale of Irish and international art on February 26. The financial star was a 2ft 9in x 3ft 4in (84cm x 1.02cm) hexaptych dating to 1968, comprising six panels arranged in two rows with sparse surfaces punctuated with impastos of paint forming hands and a head. It relates to le Brocquy’s ‘Ancestral Head’ series, which emerged in 1964 and was inspired by a display of decorated Polynesian skulls at Musée de l’Homme in Paris. On the day it sold for €80,000 (£71,430) against a €40,000-60,000 estimate – an improvement on its last auction outing, at Christie’s London in May 1998, when it sold for a premium-inclusive £20,700. The other work was a 2ft x 18in (62 x 47cm) watercolour portrait of Irish playwright Samuel Beckett, a subject le Brocquy returned to throughout his career. This example, dated 1994, had been acquired by the consignor directly from the artist. It sold for €27,000 (£24,100) against a €15,000-20,000 guide – the highest sum for a portrait on paper of Beckett since 2007. The €900,000 (£796,460) sale, 85% sold by lot, also featured an €80,000 (£71,430) trademark west of Ireland landscape by Paul Henry (1877-1958). As ATG went to press, fellow Dublin auction house Adam’s was gearing up to hold its Irish art sale on March 27, while De Veres will hold a dedicated sale on April 17.